One of my favorite fossil localities is a gravel pit in Oxfordshire, England. Gravel pits are not usually good for fossil collecting given their coarse nature and high-energy deposition, but the Lower Cretaceous (Aptian) Faringdon Sponge Gravels are special. They are tidal gravels sitting unconformably over Jurassic rocks that have an extraordinary diversity and abundance of marine fossils, both from the Cretaceous and reworked from the Jurassic below. I have previously described in this blog bored cobbles, bryozoans, ammonites and a plesiosaur vertebra from this unit. 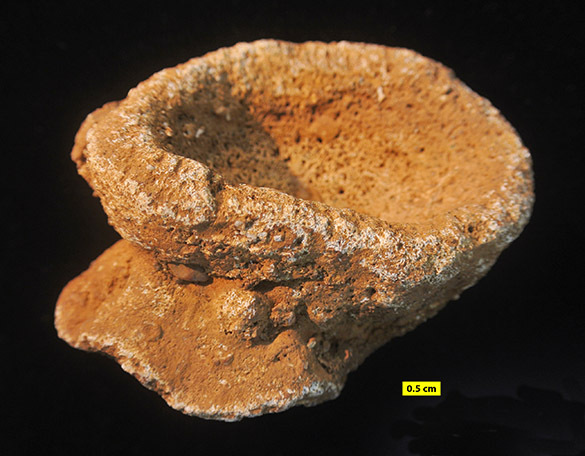 Above is one of the most characteristic fossils from Faringdon, the calcareous sponge Raphidonema faringdonense (Sharpe, 1854). This is a view of the upper surface of this sponge. Like most sponges it was a filter-feeder sitting stationary on the seafloor. This one was probably attached to a cobble in the gravel. It is in the Class Calcarea because it has a fused network of calcitic spicules making up its skeleton. This is why it has remained a very resistant, rigid object long after death. It probably spent some time rolling around in those gravels with the tidal currents. The Faringdon Sponge Gravels are a member of the Faringdon Sand Formation. They are cross-bedded gravels that have been mined for construction purposes since Roman times. 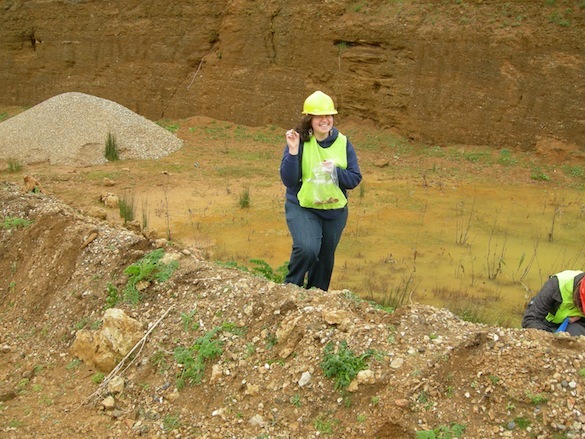 Above is Wooster Geologist Sophie Lehmann (as a student) when she and I visited one of the gravel pits in 2007. For the record, this sponge comes from the Red Gravel, 5.5-8.5 meters above the disconformity with Oxfordian limestones, in the Wicklesham gravel pit on the southeast edge of Faringdon, Oxfordshire (51.647112° N, 1.585094° W). Daniel Sharpe FRS (1806-1856) named Raphidonema faringdonense in 1854. He was born in Marylebone, Middlesex, England. His mother died shortly after his birth and he was raised by his uncle Samuel Rogers, a literary figure of some merit. He entered the mercantile business as an apprentice when he was 16, and he stayed connected with trading the rest of his life. His first research as a geologist (and this was very early in the discipline of geology) was examining geological structures around Lisbon, Portugal. He then studied the strata of north Wales and the Lake District of England. Sharpe was an early opponent of Adam Sedgwick in a dispute over the Cambrian, which brought him some notoriety among English geologists. 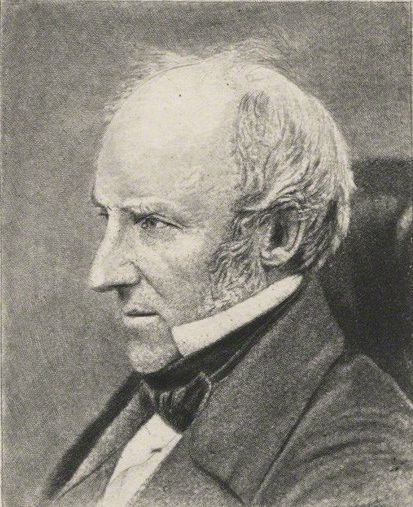 His most prominent geological work was sorting out what rock cleavage meant in regard to stress and strain, using distorted fossils as part of his evidence. He died as the result of a riding accident in 1856, shortly after he had been elected president of the Geological Society of London. 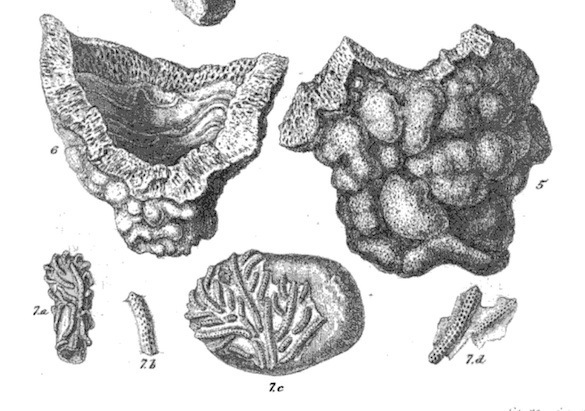 Above are Sharpe’s original figures of Raphidonema faringdonense, along with his description (and the nice bryozoan Reptoclausa hagenowi below). We can see that he spelled the species name with a double r in keeping with a common spelling of the village’s name then. I don’t know when we lost one of those letters. Austen, R.A.C. 1850. 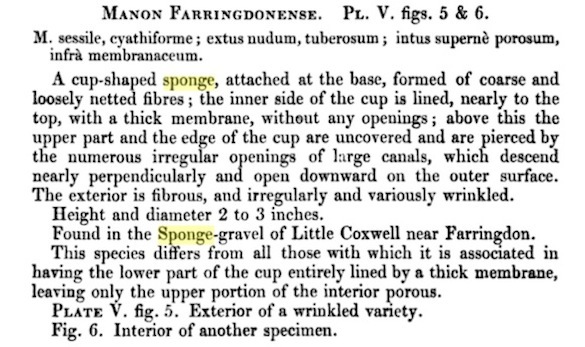 On the age and position of the fossiliferous sands and gravels of Faringdon. Quarterly Journal of the Geological Society of London 6: 454-478. Lhwyd, E. 1699. Lithophylacii Britannici Ichnographia. 139 pp. London. Pitt, L.J. and Taylor, P.D. 1990. 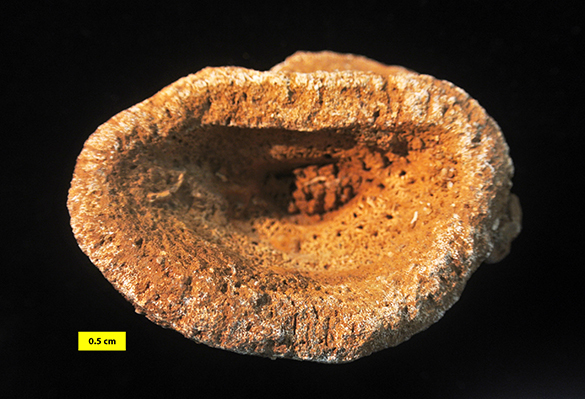 Cretaceous Bryozoa from the Faringdon Sponge Gravel (Aptian) of Oxfordshire. Bulletin of the British Museum, Natural History. Geology 46: 61-152. Sharpe, D. 1854. On the age of the fossiliferous sands and gravels of Farringdon and its neighbourhood. Quarterly Journal of the Geological Society of London 10: 176-198. Wilson, M. A. (1986). Coelobites and spatial refuges in a Lower Cretaceous cobble-dwelling hardground fauna. Palaeontology, 29(4), 691-703.